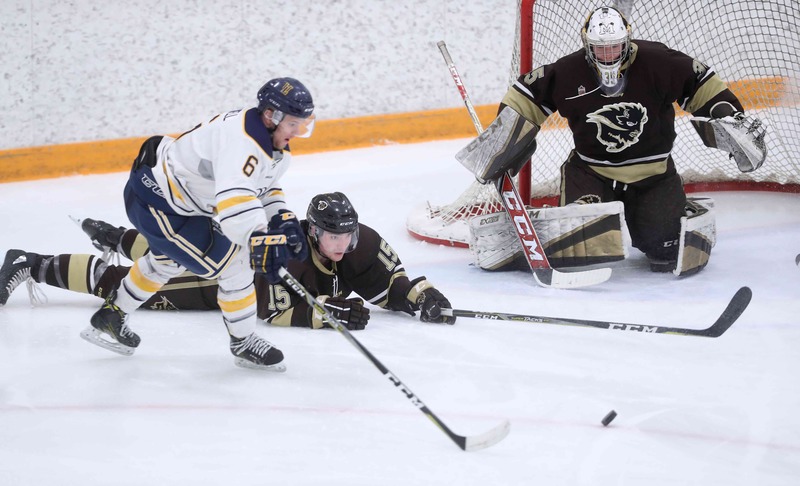 After the long holiday break the Bison men’s hockey team were back on the ice for a Friday night matchup against the University of Regina Cougars. The game was fast and physical, with the Bisons taking the game 3-0 to open the second half. The home side came out flying in the first, putting multiple high quality scoring chances towards the net and controlling the pace of the game. They were unable to convert on their chances, while Regina was unable to get anything past Bison goalie Byron Spriggs. A scary moment in the second saw a Cougars player collide with Spriggs, but he would stay in the game. The Regina player broke into the Bisons zone and put a shot on goal that was stopped. He took a bump from a Manitoba defender, sending him sliding into Spriggs and catching his left leg. 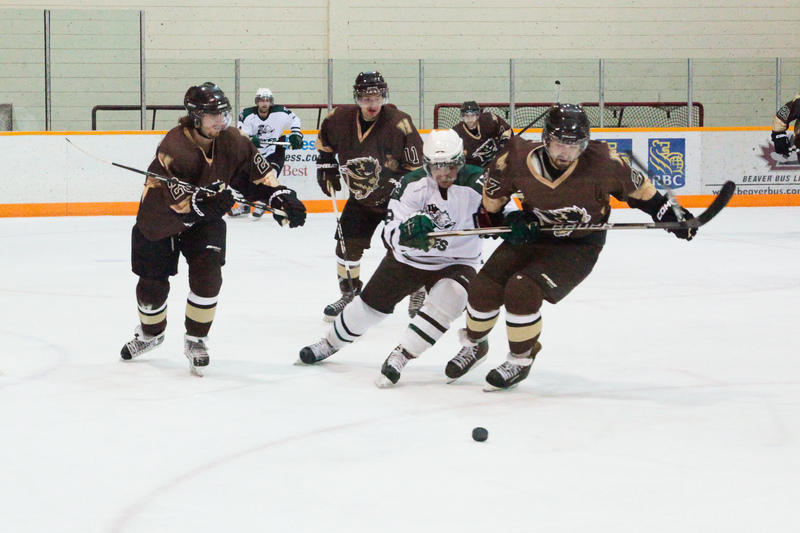 The deadlock lasted until the opening minute of the third where the Bisons drew first blood. Remi Laurencelle snapped his third goal of the year past Cougars netminder Andy Desautels to give the Bisons the lead. Justin Augert and Nick Zajac picked up the helpers on the play. Eight minutes later the herd extended their lead. Adam Henry took a pass at the point, firing a long wrister towards the goal. The shot went top corner on Desautels, over his outstretched glove to make the game 2-0 for the Bisons. 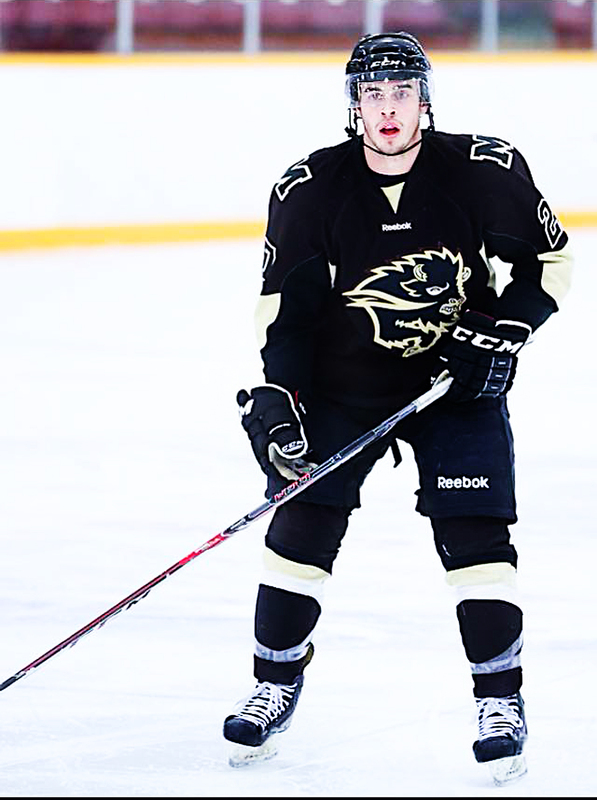 Laurencelle recorded his second goal of the evening with an empty netter to seal the 3-0 win for the Bisons. The goal and some frustrations lead to a scrum in the corner, where Zajac was involved in a brief shoving match. The physicality continued for the remainder of the game, highlighted by a massive hit by Rene Hunter. 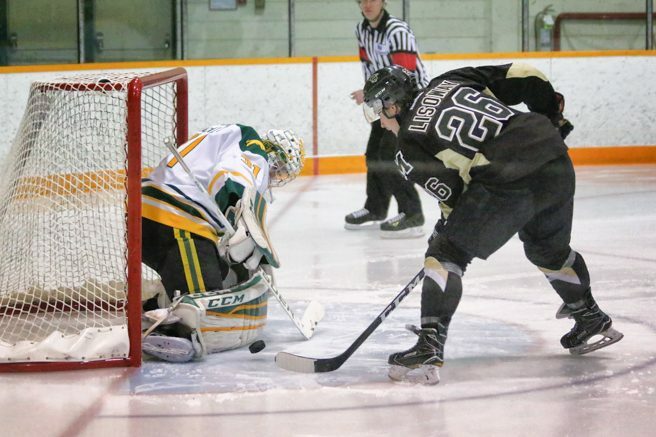 The Bisons and Cougars clash again tomorrow at the Wayne Fleming Arena. Puck drop is 1:00 p.m. local time.